Connecting You to the Penguin Plunge! NBC Connecticut is connecting you with a “cool” way to give back to the community! We’re freezing for a reason at the 2017 Penguin Plunge, supporting Special Olympics of Connecticut! 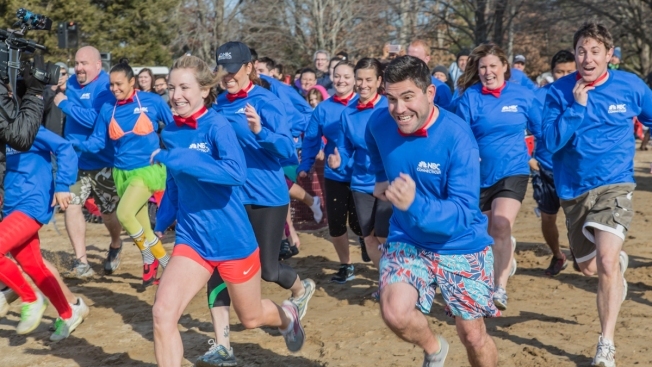 Participants raise funds to run into the chilly waters of Connecticut. The Plunges take place in five locations throughout Connecticut at lakes and beaches across the state. The events take place throughout the winter season, from January through mid-March. Your participation provides funding to support over 13,000 athletes who participate in Special Olympics Connecticut’s year-round training and competition in 27 sports. Costumes are encouraged – there are even awards for the best costumes! Many Penguins form teams to band together and share in this one-of-a-kind experience. Come meet the NBC Connecticut team at Winding Trails on January 29! Some on-air talent taking the plunge are Ryan Hanrahan, Heidi Voight, Ted Koppy, Bob Maxon, Hanna Mordoh, Max Reiss, Kaitlyn McGrath, and Tara Joyce!